Seismic activity along California fault lines has increased recently and also in Yellowstone National Park the home of the Yellowstone SUPER volcano. Reports are that in the past few months the famous geysers at the park have been behaving oddly and in just the past week there have been 3 significant earthquakes in the region. A magnitude 3.7 hit the area on June 9. A magnitude 4.3 hit the area on June 13. And today a magnitude 4.0 hit the area. Quakes are common in the Yellowstone region but NOT of these magnitudes. Additionally, some big quakes have also been striking Montana in recent weeks which is highly unusual. Regarding fault lines in California this past Friday a 5.2 quake hit the region NE of San Diego and it shook across southern California. This quake hit around 1 am NW of Borrego Springs which is in San Diego County, California. This quake was followed by an almost unbelievable 800 aftershocks! Quakes have also been striking in Oregon and out in the ocean waters off the coast as well. Some scientists are warning that a BIG quake is on the way to the tune of maybe a 9.0 magnitude! Such a quake would devastate the west coast. Returning to Yellowstone…. 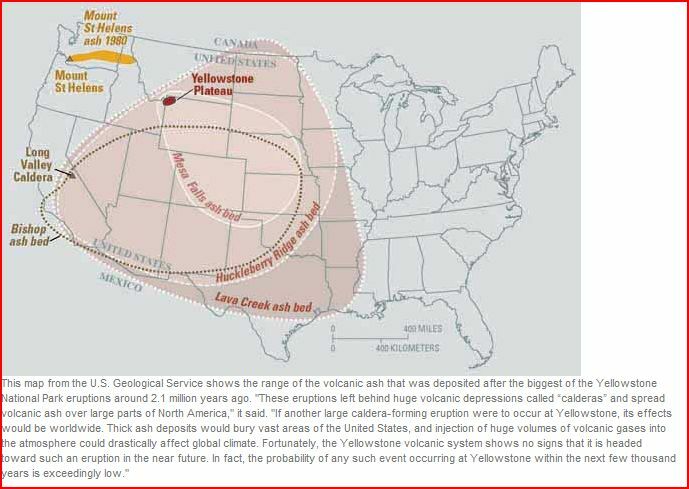 Yellowstone is a Supervolcano and thousands of years ago it erupted and basically devastated the entire west of America. Should that happen in our time with all of our civilization and infrastructure it would effectively knock many of us back to the Stone Age! Ash spewed into the upper atmosphere would cool the earth for a long time and have long-term global effects for all of humankind. Keep an eye on Yellowstone and the surrounding region. Yellowstone hasn’t blown yet but it sure is letting us know that it is very much alive and well as are the faults in California, Oregon, and the State of Washington. Oh and that reminds me, there have been several quakes lately near the volcanoes in Washington State including around Mt Hood, Mt St Helens, and Mt Rainer. Yellowstone Super Volcano Bigger Than Thought! Researchers in Yellowstone National Park now say that the super volcano is MORE than twice as big as originally thought. The park sits on top of the world’s largest active volcano which is a super volcano. 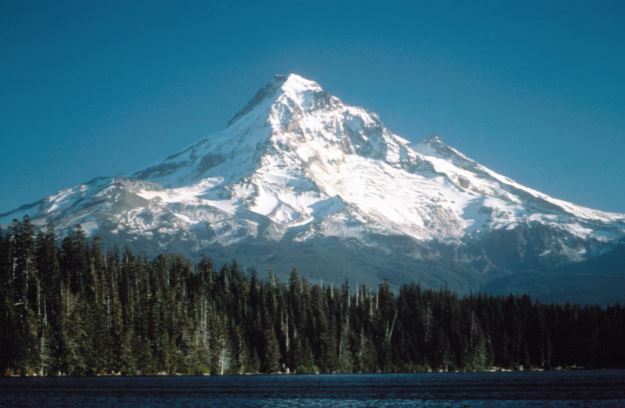 It’s last eruption was about 600K years ago and it devastated the Western US. Dr Robert Smith of the University of Utah has been studying the volcano and he notes that when you go to Yellowstone you must drive uphill because of the giant plume of magma underneath the ground. It lifts the surface upward. Smith has been studying the super volcano for the past 60 years. He suspects that when it erupts the eruption lasts for many months or even years. Dr Smith noted that a 4.8 earthquake in the park that damaged the Lake Hotel was the biggest quake in 30 years. He and his team have found that the magma is 2.5 times bigger than originally thought underneath the park. However, he doesn’t think it is going to erupt anytime soon. Hmmm….well he was WRONG about the size of this thing so what are his chances of being wrong about it blowing? Yellowstone: Is it About to BLOW? Animals are on the run!! Mi amigos and amigas if you live anywhere in the southwestern USA or the mid west you may have a problem very soon. A really BIG problem! For several years now I’ve had my eye on Yellowstone National Park. It’s a caldera. A Supervolcano and that’s a scientific proven FACT. I’ve sat and watched the many earthquakes the park has had. I sat and listened to this and that scientist claim one thing and then another. Blah….Blah…Blah! That’s all fine and well BUT what I’ve been waiting for is for nature’s early detection devices to go off. And, apparently, those early detection devices are NOW going OFF! Here’s what I’m talking about………..